Dr. Lily Hechtman received the Transcontinental Research Award of Excellence from the Montreal Children’s Hospital Foundation. This prize is awarded to a researcher whose initiatives have made a unique and significant contribution to pediatric care. Dr. Nada Jabado headed a research team from the RI-MUHC that received a major investment for an innovative project on the genomic biomarkers associated with pediatric glioblastoma, a form of incurable cancer. This project will aim to develop new therapeutic approaches that are more targeted and therefore more effective to improve quality of life for these young patients. Entitled Genomics and Personalized Health, the competition was organized by Genome Canada in partnership with the Canadian Institutes of Health Research (CIHR). The project is co-led by Dr. Jacek Majewski, associate professor in the Department of Human Genetics at McGill University, and Dr. Tomi Pastinen, associate professor and Canada Research Chair in Human Genomics at McGill University. Ms. Suna Jung, a master’s student co-supervised by Drs. Pia Wintermark and Pierre Lachapelle, received the Eberhard Dodt Memorial Award from the International Society for Clinical Electrophysiology of Vision. This award recognizes the best presentation given by a researcher under the age of 35 at the annual meeting of this society. Dr. Barry Pless received a Lifetime Achievement Award from the Canadian Injury Prevention and Safety Promotion Conference co-hosts, Parachute Foundation and Canadian Red Cross, for his extraordinary contributions to the field of injury preventions – across Canada and globally. Dr. Rima Rozen was awarded the Queen Elizabeth II Diamond Jubilee Medal in recognition of her dedicated service to her peers, to her community and to Canada. Dr. Evelyn Constantin was elected a member of the Society for Pediatric Research. Dr. Sam Daniel received the American Academy of Otolaryngology–Head and Neck Surgery Foundation Honor Award, given to members in recognition of their volunteer contributions to the Academy and its Foundation. 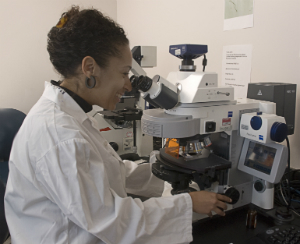 She received the Canadian Cancer Society William E. Rawls Award for excellence in cancer research. This honour is awarded each year by the National Council of the Canadian Cancer Society to a young investigator whose work has led to important advances in cancer control within the past decade. She received the Maude Abbott Prize from the Faculty of Medicine at McGill. This prize recognizes outstanding women faculty members who excel in education, research or administration, with a focus on those at the early stages of their careers. She was named “Researcher of the Month” by Canadians for Health Research. She was profiled by Premières en affaires magazine as one of eight women who are innovative, inspiring trailblazers on the frontlines of strategic change in health care. She received the Group Jean Coutu Best Care for Children Award in Research from the Montreal Children’s Hospital Foundation. Ms. Xiaoyang Liu, an MD/PhD student in Dr. Nada Jabado's brain tumour research laboratory, received the August 2012 Étudiants-chercheurs étoiles award from the Fonds de recherche du Québec–Santé in the Fonds Santé [Health Fund] category. Dr. Annette Majnemer was awarded membership in the American Occupational Therapy Foundation Academy of Research, the highest scholarly category of this organization and one of the highest in the occupational therapy community. Dr. I. Barry Pless received a Doctor of Science, honoris causa, from his alma mater, the University of Western Ontario. He also gave the convocation address at the ceremony. Dr. Constantin Polychronakos was elected a Canadian Academy of Health Sciences Fellow, one of the highest honours for individuals in the Canadian health sciences community. Dr. Guilherme Sant’Anna was elected a member of the Society for Pediatric Research. Dr. Charles Scriver received the 2012 Medal of Honour from the Health Research Foundation for his outstanding contribution to health sciences and public health innovation. With Mr. Arnold Steinberg, the joint recipient of the award, he worked to ensure the addition of vitamin D to milk in Quebec starting in the early 1970s, reducing the occurrence of nutritional rickets in children from over 1,000 per year to almost none. He and Mr. Steinberg also collaborated on the development of the National Food Distribution Centre for the Management of Patients with Hereditary Metabolic Disease. This work has had extraordinary impact on the health of young Canadians. Dr. Kathleen Glass was awarded a Lifetime Achievement Award from the Canadian Bioethics Society. She was among the top researchers from across Canada chosen to participate in two initiatives funded by the Canadian Government. The Canadian Pediatric Cancer Genome Consortium and the Finding of Rare Disease Genes in Canada (FORGE Canada) team both aim to identify the genes that cause the most challenging types of cancer and rare disease in children, and find new treatments. She received the Aldo Award of Excellence in Research from the Montreal Children’s Hospital Foundation, presented to a researcher whose initiatives have made unique and significant contributions to pediatric care. She received an inaugural Champions of Genetics: Building the Next Generation grant from the Canadian Gene Cure Foundation (CGCF) for her research on inherited genetic immune deficiencies. This new award initiative of the CGCF recognizes distinguished scientists who have played a vital role in the genetics community through their research, leadership and mentorship. Dr. Michael S. Kramer was elected to the Royal Society of Canada, in recognition of the important impact that his research on infant feeding and adverse pregnancy outcomes has had on clinical practice and public health policy. Dr. Dorothy Moore received the Canadian Paediatric Society Member Recognition Award. The CPS gives the award annually to recognize outstanding contributions of its members as spokespeople, peer reviewers, liaisons with other organizations, and participants in committees or on the Board of Directors. Dr. Thérèse Perreault received the Jean Coutu Medical Award of Excellence from the Montreal Children’s Hospital Foundation. Dr. Constantin Polychronakos received an honorary doctorate from the Medical Faculty of the Aristotelean University in Greece. Dr. Maala Bhatt received the Terry Klassen Young Investigator Award from the Pediatric Emergency Research Group of Canada. Dr. Jean-Pierre Farmer received the Pfizer Award of Excellence in Leadership from the Montreal Children’s Hospital Foundation. Dr. Jean-Martin Laberge received the Jean Coutu Medical Award of Excellence from the Montreal Children’s Hospital Foundation. Dr. Annette Majnemer gave the Muriel Driver Lecture at the annual meeting of the Canadian Association of Occupational Therapy. The lectureship and accompanying prize represent the most prestigious Canadian award for a body of research in this field. Dr. Nada Jabado’s research breakthrough with Dr. Jacek Majewski was identified in the December 15, 2010 issue of L’Actualité as one of 35 inventions that will “change everything.” This research, published in Human Mutation, demonstrated that the sequencing of one person’s exome can permit effective research into mutations indicating a genetic disease, without the need to sequence an entire genome. Dr. Michael S. Kramer received the Paediatric Academic Leadership–Clinical Investigator Award from the Pediatric Chairs of Canada in October. The award recognized his administrative leadership in the child health research community in Canada and his prominent role in influencing child health globally. Mr. Brian Meehan, a research assistant in Dr. Janusz Rak’s cancer and angiogenesis laboratory, received the first MUHC Director General's Award in Pediatric Research. Dr. Gary Pekeles was invited to participate in the Scientific Committee for the 26th International Pediatric Association (IPA) Congress of Pediatrics, Johannesburg, South Africa. Dr. I. Barry Pless received the Emeritus Researcher Award from the Quebec Population Health Research Network for his exceptional contribution to the field, not only in Quebec, but nationally and internationally. Dr. Constantin Polychronakos was named among the top ten scientists of Greek origin in 2010 by Status magazine (Athens). Dr. Janusz Rak received the Aldo Award of Excellence in Research from the Montreal Children’s Hospital Foundation. Dr. Rima Rozen was elected Fellow of the Royal Society of Canada. Dr. Rozen is internationally recognized for her work on the genetics of several disorders, including birth defects, heart disease and inborn errors of metabolism. Dr. Charles R. Scriver received the Pollin Prize, the highest international distinction in pediatric research. He also received the Howland Medal, the highest award of the American Pediatric Society; the Folling Award from the European Phenylketonuria Group in Munich, Germany; and the PKU Hero Award at the National PKU Alliance inaugural meeting in Dallas, Texas. Dr. Gloria Tannenbaum was designated Professor Emerita by McGill University. Dr. Bruce Williams was honoured at the 1st Annual H. Bruce Williams Pediatric Surgical Research Day at the MCH. The day culminated with the official naming of the MCH Craniofacial and Cleft Palate Unit as the Dr. H. Bruce Williams Craniofacial and Cleft Palate Unit.